We’re really pleased to have our first Comics Herald Giveaway! 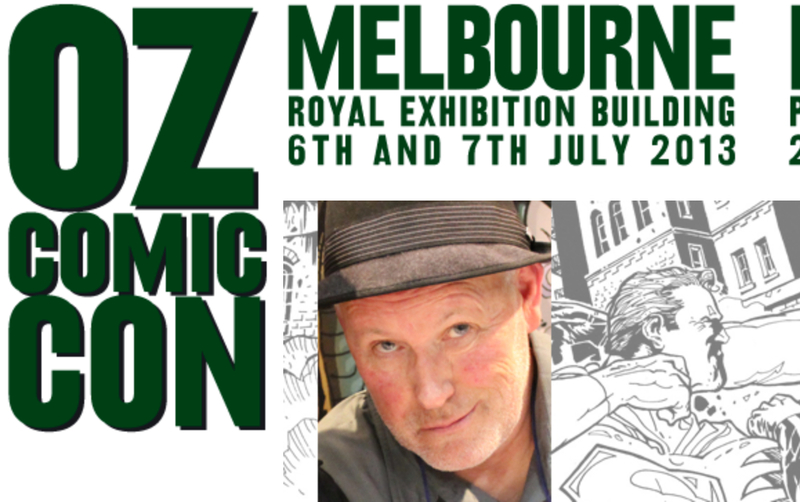 As we’ve covered already, the Oz Comic Con series of events has started making its way around Australia and it’s hitting Melbourne on the 6th and 7th July. 1. Tell us why you want to go to Oz Comic Con in Melbourne in 30 words or so. Be funny, innovative, controversial, whatever takes your fancy. 3. Get your response in by Midnight AEST on Sunday 23rd June. We will draw randomly the two winners from those who’ve posted a response as per rules above and will notify you via Facebook or Twitter on Monday 24th June. * The passes are valued at $80 each and allow entry into the event on Saturday and Sunday. As per the website, ticket conditions are: The event floor and panel stages have limited capacity as set by the Fire Marshal. Even though your ticket is needed to get into the event, it does not guarantee you immediate access to any event space or the panel stages if it they have reached capacity. We clear rooms between each panel. Most autograph signings and photograph opportunities are of a limited nature. Your general ticket does not guarantee autographs or photographs at the event.The winners will be able to collect their tickets from the speciality ticket desk which will be located near the main entry. I would love to go to Melbourne oz comic con 2013 because its on my birthday July 7. And I would love to meet Ron pearlman. And the charmed sisters. And j augast richards. And I’m a big Ron pearlman. Fan. I have see. Sons of anarchy. Hellboy. 1 and 2. It would be nice to win tickets to Melbourne oz comic con 2013. That would would be a cool birthday. Present. If I won that. I would like to go to Melbourne comic con oz. because its on my birthday. And that would. Be a. Good way to spend my birthday.